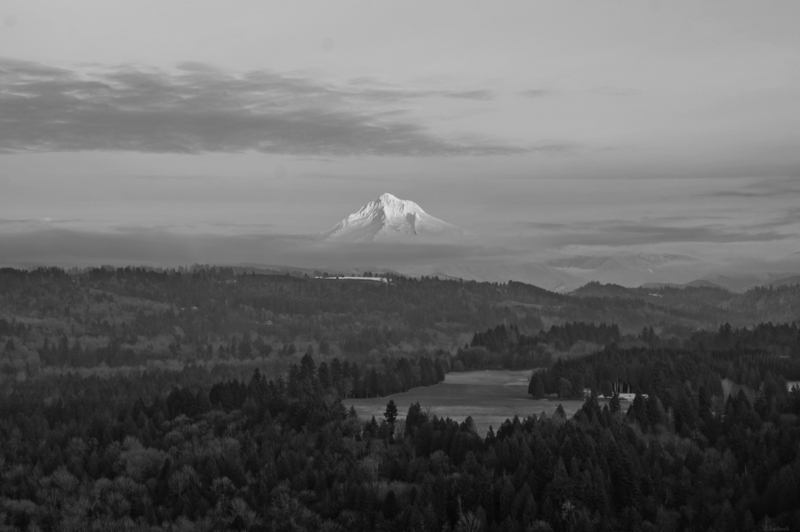 So after yesterday, and a few cold, clear evenings this winter wishing I was in a better location for it, I decided to be intentional about getting a good clear image of Mt Hood right at twilight. I looked around online and discovered Jonsrud viewpoint in Sandy. There were 5 other photographers that had the same idea. When I was processing these I just couldn't decide between color and B&W. I went with one of each. I think each is complimented well by the choice. The first was made using my Soligor OM Mount 75-205mm at f/8. The second is with the Sony 18-55mm at f/8.